Oh, the things I do for you. On Monday, I fired up the oven in my already-sweltering kitchen. 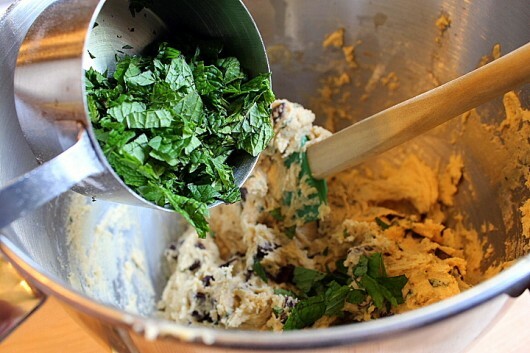 Then I grabbed some semi-sweet chocolate and freshly-cut mint leaves, and added them to a standard cookie dough. The result? 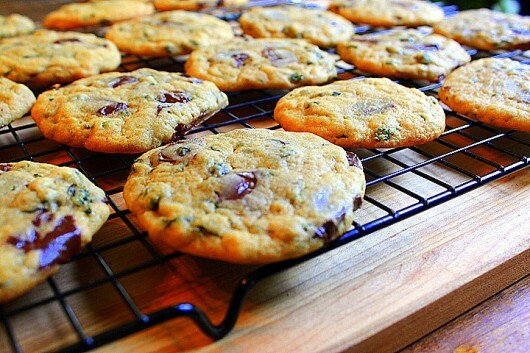 Cool, minty, chocolate chunk cookies! These cookies remind me of the “Thin Mint” biscuits that the Girl Scouts of America sell. They also recall the little foil-wrapped wafers that certain hotels place on pillows when they turn down the bed at night. Because we all need chocolate and sugar just before bedtime. 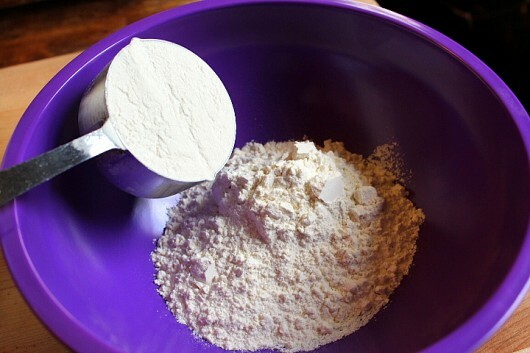 To start, tip 1 1/2 cups flour into a medium bowl. 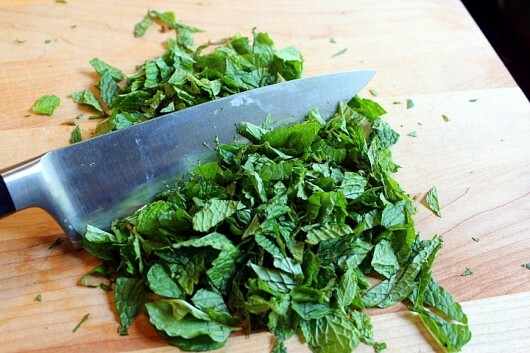 Then chop up some fresh mint. I used a whole cup of chopped leaves. You might like to use half that amount, depending upon your fondness for mint. Trust your intuition, baby. And add 1/2 cup light brown sugar. You could use dark brown sugar, but then the adorable green specks of mint probably won’t show up in your finished cookies. Add half the mint, and quickly rub the leaves and sugars with your fingers until all is perfumed. 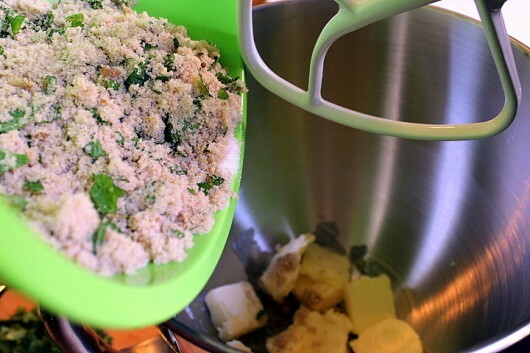 I learned this French rubbing-trick from cookbook author Dorie Greenspan. Dorie and I are BFFs. 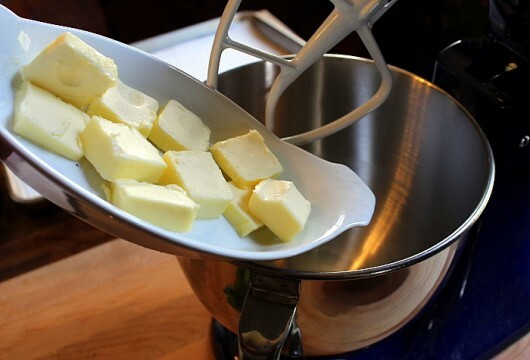 Next, drop 1 stick softened butter into the work bowl of your standing mixer. 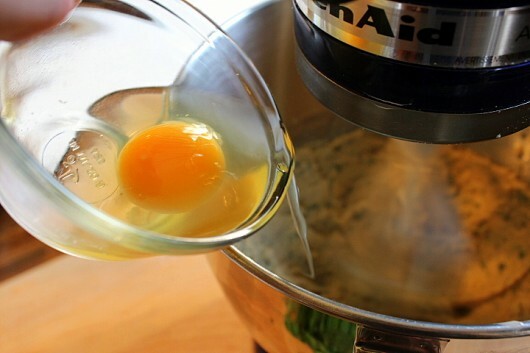 If you don’t have a standing mixer, use handheld electric beaters. Failing either, do what every baker did prior to 1930, and use a stout wooden spoon and some elbow grease. And beat at medium-high speed until light and fluffy. I swiped my finger into the sweet, minty butter, and nearly passed out from pleasure. ‘Twas delicious. 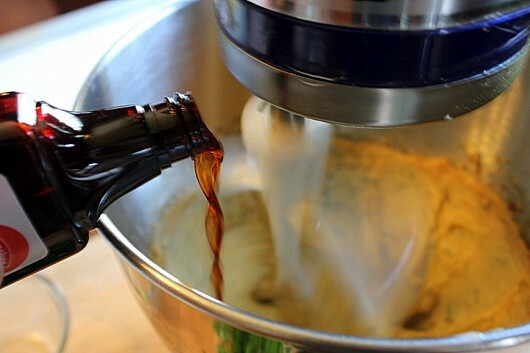 And 2 teaspoons pure vanilla extract. I’m so old that I no longer have to use measuring spoons. Frankly, I’m so old that I don’t need a mirror when I shave. After more than two decades of shaving, I know where the stubble is. And I never, ever, use shaving cream. It isn’t necessary after you’ve washed your face and wet your beard. But why are you asking about my personal grooming habits when we are in the midst of cookie-making? With the machine running at low speed, gradually beat in the flour mixture. 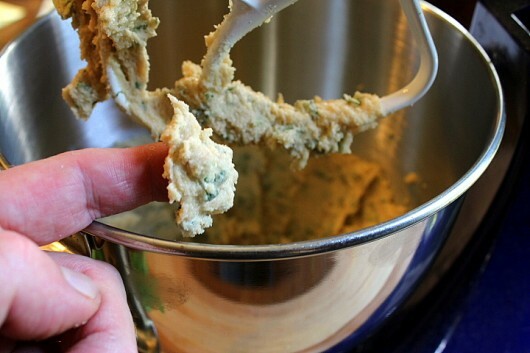 Then turn the mixer off, and detach the work bowl. You can use any chocolate you like for this recipe. I used a 6-ounce package of semi-sweet chocolate chunks. You, however, might prefer ordinary milk-chocolate chips. Now grab a spatula, and use it to fold the chocolate bits into the dough. Fold in the remaining mint, too. Then form the dough into 1-inch-diameter balls, and place them about 2 inches apart on a parchment-lined baking sheet. Use your fingers to flatten the balls slightly, and then pop the tray into the fridge while you preheat the oven to 350°F. Bake until the chocolate melts, and the cookies turn golden brown — 12 minutes for soft cookies, and 15 minutes for crisp. Cool on the baking sheet for 10 minutes, and then transfer the biscuits to a wire rack for further cooling. These cookies are lively, luscious, and lovely. Can I offer you a bite? Think you’ll try these cool, refreshing cookies? You can let me know by leaving a comment. I love hearing from you! 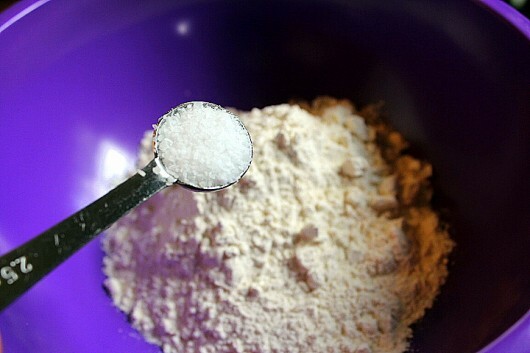 Whisk together the flour, salt, and baking soda in a medium bowl. Set aside. 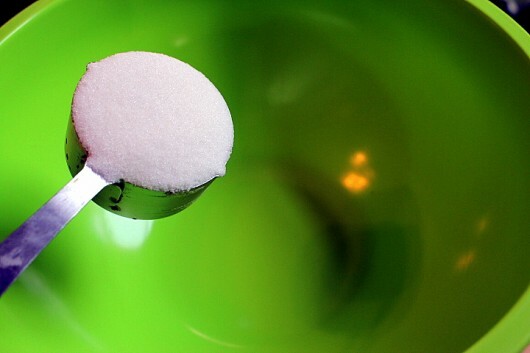 In another medium bowl, combine the sugars and half of the mint. 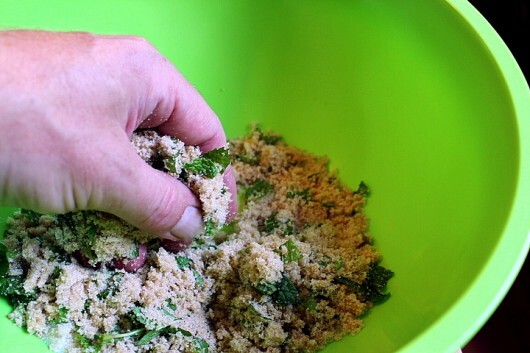 Using your fingers, rub the mint into the sugars until all is fragrant. 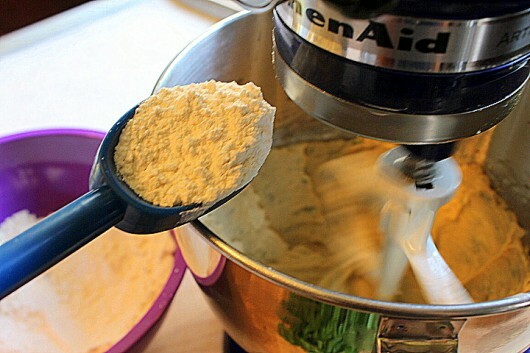 In the bowl of a standing mixer (or use handheld electric beaters), cream the butter and the sugar mixer at medium-high speed until light and fluffy. Then beat in the egg, followed by the vanilla extract. 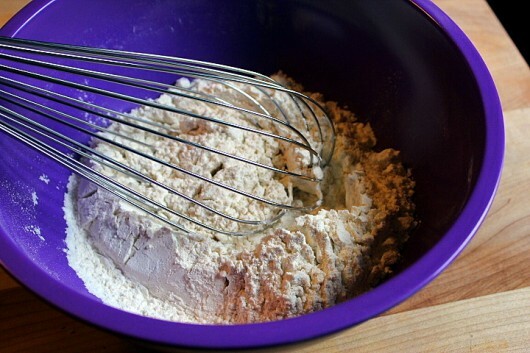 At low speed, beat in the flour until it disappears into the wet ingredients. Detach the work bowl from the mixer. 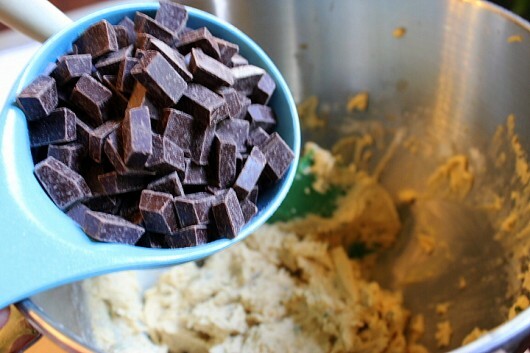 Using a spatula, fold the chocolate and the remaining mint into the cookie dough. 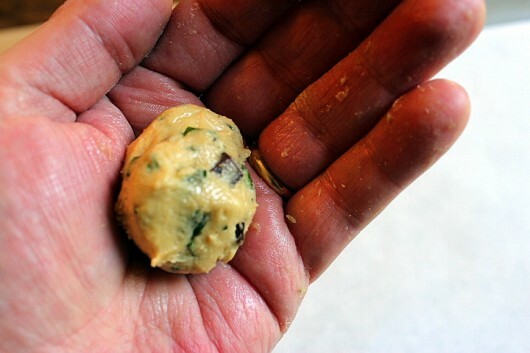 Roll pieces of dough between the palms of your hands to form 1-inch-diameter balls. Space the balls about 2 inches apart on a parchment-lined baking sheet, and flatten them slightly with your fingers. 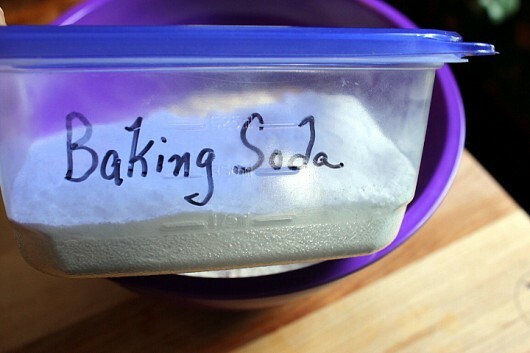 Pop the baking sheet in the fridge while you preheat the oven. Center the oven rack and preheat the oven to 350°F. Bake until the chocolate melts and the cookies turn golden -- 12 minutes for soft cookies, and 15 minutes for crisp. 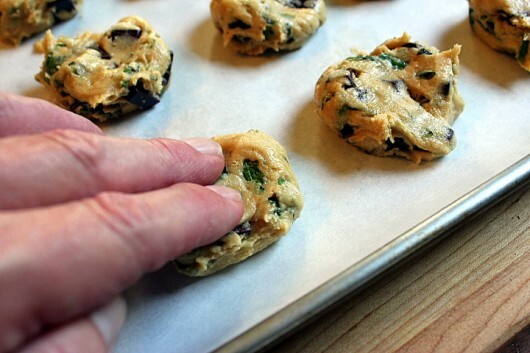 Cool on the baking sheet for 10 minutes, then transfer cookies to a wire rack. When completely cool, the cookies can be frozen in an airtight container for up to 3 months. I love the new “printable” format!!! That said- I adore these cookies!!!!! What a fresh idea to include fresh mint!! Turns ho hum chocolate chip cookies into a new exciting treat!!! If you love those certain “thin mint” cookies sold only once a year- I heartily encourage you to try this recipe… its “that” flavor- kicked up a grown up notch. The fresh mint adds a flavor no extract can impart….and the chocolate chunks you used (and recommend) are generous in size and bold in flavor!! I know much of my overgrown mint is under utilized. …I’m sure I’m not alone in that…now I have a way to use more!! (Perhaps I’ll serve my cookies with some minted iced tea!!) Thanks for sharing Kevin!!! Hi Cary – Enjoy the cookies! Hi Brenda Johnson – Thanks for taste-testing the cookies. If not for you, I would have been forced to eat ALL of them. And believe me, I wanted to! What a good recipe for a picnic. Do you ever consider the jobs that could be created because of your ability to come up with awesome recipes. If some of your recipes were available in the freezer aisle the world would be a better place. I did not think it was possible, but you have TOPPED YOURSELF. We were all set to make your Spiced Plum Cake, wanting to repeat last summer’s blissful interlude, but now maybe we’ll bake these cookies instead. Or perhaps we’ll bake BOTH. MAKE THEM? YES, YES, YES!!! I have enough mint to keep hordes of people happy, and am always hoping for new ways to use it. I nearly passed out with pleasure just looking at the sweet, minty butter. Lucky you didn’t lose a finger. A 1 lb. bar of Belgian bittersweet chocolate is sleeping in the fridge. Have mallet, will pound. Hi Beverly – How kind of you! Hi Mary – Enjoy these blissful biscuits! I have Chocolate Mint in the kitchen garden right now. Might give this a try. I have the mint. I have the chocolate. I definitely have the craving! Going up to warm up the oven now. I found it quite interesting to note that my dear sister from Massachusetts ( who passed away this spring from ovarian cancer ) emailed me to tell me of a fabulous recipe with rosewater that you had posted. She had a sweet tooth and been following your posts for the past year. She was quite surprised to discover that I had been following you for several years, and have communicated with you several times. Small world, eh? Can you guess that I am Canadian? This is perfection!!! I have chocolate mint in the garden just waiting to be used! Thank you, Kevin, not only for your wonderful recipes, but also for your quick wit and sense of humour, and the generosity with which you share them all. Kevin, your cookies are cooling on a rack as I write this. I’ve already tried 2 of them, and OMG — they are AMAZING! I doubt they’ll last the day! Thank you! I can deal with the personal grooming discussion as long as you keep the new print function. Hi Catharine R – So glad the cookies worked out for you! Now you’re talking! Chocolate and mint together — one of my favorite combos! Thanks, Kev! Have you really ever had cookies to freeze? These lovelies won’t last a day at my house! Just to be clear I don’t live alone and my son Ray loves chocolate and mint! Amazing! You have wowed me on yet another Sunday morning. Always look forward to your Sunday emails. Great ideas presented with such humour! Thanks for sharing your knowledge and charming personality. It is hot here, so rather than using the oven, I placed two bricks on the BBQ grill, and placed another grill on top. Baked them in the BBQ. Worked great. This is another keeper, Kevin. thank you for changing the way you can print out recipes. I couldn’t do it the other way. Hi John – Love your BBQ-baking idea. And I admire your resolve to eat only two cookies. I ate…well, never mind! Kevin – I truly LOVE you – your wit, wisdom, creativity, passion, style, etc… — however (you perhaps suspected this might be coming…) – I STILL (we’ve spoken of this in the past) wonder why you are not on board with the healthier trend to avoid the toxins and carcinogens with the ingredients… — ? For example, I am so going to try to make these but will use all ORGANIC ingredients and sub the toxic refined white sugar with organic coconut palm sugar and use gluten-free, organic flour (probably almond or a blend), use organic vegan “butter” or coconut oil instead of the more toxic real animal butter and I like an organic, dairy/vegan variety of semi-sweet baking chunks and of course, will use our fresh organic garden mint… — PLEASE consider making your marvelously concoctions healthier for yourself and for your fans? Love ya anyway – would love to pop over and give you big hug if you’d allow it! The new print feature works great, Kevin. Please let me know the correct way to measure the mint leaves. Everyone in the world uses the terms x/x cup chopped whatever – and I don’t know if it means measure the leaves before chopping or after. Thank you for helping this misguided and terribly literal person. I think if it says 1/2 cup leaves, chopped you chop them after measuring and if it says 1/2 cup chopped leaves, you measure before BUT – HELP!!! Christine Zipps – re. “more toxic real animal butter” – next time please consider researching the subject a bit more before making a statement – the health benefits of animal butter are unquestionable and far superior than fake dairy/vegan variety. Hi Mary – I chopped the mint, then measured what amounted to 1 cup. But you really don’t have to measure the leaves at all. You can add more or less, depending upon your love of mint! Road trip soon….PERFECT for snacking!!!!!! Kevin, did you know that here in Kentucky we can grow a variety of mint called chocolate mint? It can also be a yummy addition to this recipe. Oh baking guru these cookies look so good I can hardly stand it! But I have a question for you. 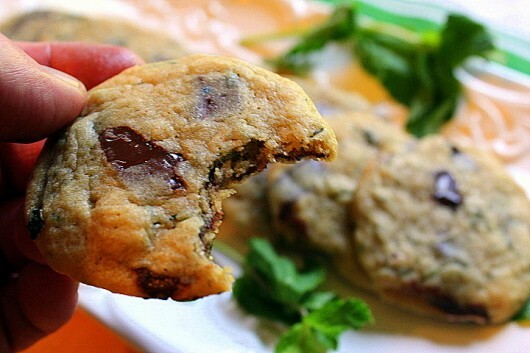 My chocolate chip cookies used to always come out just the way I like them …. not crunchy but slightly soft in the center and fairly flat. I usually take them out of the oven just before they are done. Cannot seem to get them to do that anymore. Is it the butter (maybe not softened enough or the wrong kind) or that I don’t flatten them as you did (but never have) or …. well, or what? I am stumped and have not really liked the last couple of batches that I made. I am really hoping you have a cure for me. Keep up the good work. Love the blog. Any word on the cookbook? Hi Karen L – Thanks for asking about the cookbook. My agent sent the proposal out, and we’re waiting for some good news. As for the cookies, I baked mine for just 12 minutes, and they were soft and wonderful — the way I like them. Maybe your oven is suddenly running hotter than the temperature at which you set it. An oven thermometer will confirm this for you, and then you can adjust the heat as needed. Bon appetit! Cannot wait to hear more about the cookbook! I hate to cook (but kind of like baking) but I love cookbooks … yea, I know, makes no sense whatsoever. What can I say? So, yes, I guess I do need to check my oven temp. as it is a fairly new oven and I am baking now with convection. Oh, wait ….. bet I need to turn the temp down from my usual baking due to the convection as I did not have that before. Darn, why didn’t I think of that before? Thanks for jogging the brain cells, Kevin. I do so miss my soft chocolate chip cookies. 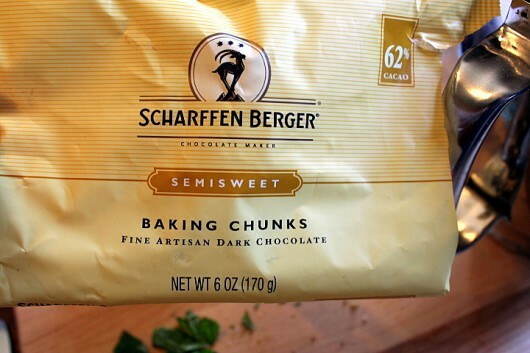 As a former Girl Scout I LOVE chocolate mint thins…..Gonna try these, but with some chocolate mint I have growing in my garden…along with the chocolate chips….There’s no such thing as too much chocolate,,,right? Love it when I already have the ingredients, especially mint, like many other comments. Can’t quite figure out where locally made butter or Cabot , comes under the category of a toxic ingredient. I agree with Joanna & thanks for her web site list. Mmmm they look good, I was wondering if they were soft cookies or crunchy? These sound wonderful! I must go out and see what condition my mint is in. Kevin! once again, you’ve surpassed your previous Brilliance Score!!!! CANNOT wait to try these! Hi Maggie – Health wise, butter is no better or worse than coconut oil. I happen to prefer the taste of butter, so that is what I use. And I use it unabashedly! Love the new print function; wish it would print the picture too. These cookies are just in time for my husband’s birthday. He loves choc chip mint ice cream! These are perfect. Thanks. And the print function is great. You have outdone yourself with these cookies. Even the dough is irresistible. Hi Kyle – What a great gift for your hubby’s birthday. Enjoy! Hi Sharon from Maine – Yes, the raw dough is scrumptious! The mint is, as always, taking over. This is on the to- do list after I finish eatung the lavender shortbreads…. As a next thought, my lenon balm is also taking over. I really love it for tea, but I’m wondering what you would do with a glut of lemon balm. Love getting your Sunday blog. Kevin, my husband made these for a bbq at our house today – they were AMAZING!! Thank you!! Hi Karen – Lots of uses for lemon balm. Here one: cut up the leaves and add them to common sugar cookie dough. Hi Margaret Califano – Nice to “see” you here! Hi Nikki – Glad the cookies were a hit at your BBQ! Would love to see more cameo appearances of your darling beagle Lily! What’s she been doing? I am really going to try these cookies…but I have a question/observation. In the recipe you call for ‘bittersweet’ chocolate, but in the photo of the chocolate you used it clearly says ‘semi-sweet’ chocolate. They are two different chocolates…the bittersweet has far less sugar in it and isn’t usually used when making cookies. I’m sure you meant to use the term ‘semi-sweet’ chocolate through your recipe? Hi AmyO – I don’t know how I missed something so obvious, but I’m glad you did! Corrections coming in 0.325 seconds. I just pulled these out of the oven, and you are a genius! They are delicious! My chocolate, mint, cookie-loving son agrees. I hope there are some left when the rest of the family gets home! Yum! I just made a batch with about 3/4 of intense fresh chocolate mint. I used “dark” chocolate morsels.. I was surprised the mint leaves worked in the batter so well. I thought they might peek out and be dry or stringy. Not at all. Hi Kristin and Marjie T. – So glad the cookies worked out for you. Dark chocolate…Mmmm. These are Awesome! I had just cut and dried my abounding mint when I read your recipe, so I took a chance and used 1/2 cup of dried mint – OH BOY! So Yummy! Next time I harvest I’ll be sure to save a cup of fresh mint but in the meantime, just heavenly with the dried! These are terrific even though I had a lazy attack and made them with a double chocolate mix. When the weather cools, like today I’ll put on my big girl apron and make the real version. Thanks for another great recipe. Hi Kevin! I can’t wait to bake this NOW, but oh my…I don’t have chocolate chips available! I wonder…and I wish you are still awake and get to read this….I just want to use dried cranberry just so I can bake NOW! I imagine it good using my intuition but my tastes bud is craving for the chocolatey taste! Kein all I wanted to say was Hppy Birthday. I hope it as a good one. I am by no means a chef and usually just skim recipes and wing it (which results in 50/50 success rates) I stumbled across this article on google, and was charmed by its delicious simplicity and your fun and witty writing style. Bravo. I’m not even a fan of cookies, but I’m sure I’ll love these! Just wanted you to know I made this recipe for my brother and his family who are great cc chip cookie lovers. They went in a flash and helped me get rid of all that fresh mint. Thanks for a great recipe! Hi Mare – So glad these cookies were a hit for you! I have spearmint growing and want to add pots of chocolate mint and peppermint as well. 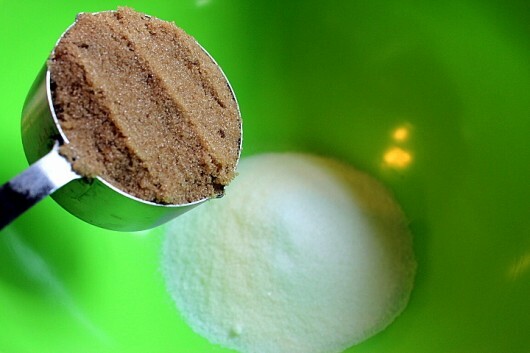 This recipe since it has two of my favorite favors. I also have a ton of lemon balm I use for tea and chicken dishes, but will try adding it the sugar cookie dough as you suggested to another commentor. Thanks for the great recipe! Love your news letters! I made these today and they were a SUPER BIG HIT. I have Chocolate Mint taking over one of my flower beds and this was a good excuse to dig up more and not just compost it 🙂 Since you say they freeze well, I’ll be making some to freeze too. I mean I have tons of this mint and I can only drink so much Chocolate Mint Tea. Now if the mint over runs my garden I can just smile as I dream of the cookies! Thank you for this fabulous treat! I did a double-take while traipsing past my mint patch this morning. The tall stems were spelling out K-E-V-I-N ! I took this as a sign from the Garden Gods and I made these chocolate mint cookies today. In fact, they are cooling on my kitchen counter right now, minus the two I ate immediately. Now I can spell out S-U-P-E-R-B !! Thanks for broadening our horizons AGAIN. Really unique and special, a keeper recipe. As I had none of the light brown sugar I was forced to use the dark. Please forgive my lack of preparedness for anything you might throw at us. Keeping up with your pantry is a challenge. I want to try these cookies because first of all chocolate chip cookies are my favorite, and also I love anything mint. Kevin, You’ve got me contemplating what to make first the mint cookies,lavender shortbread,or the tart! Have you ever brushed the tart crust with chocolate? I would think fresh mint springs on the strawberry tart would be so pretty.Your desserts are works of art! Perfect use for fresh mint. This will be the next cookie I bake. What type of mint do you plant for your recipes? And where do you plant it that it doesn’t take over everything around it? I tried some in a pot and it crowded itself out! Hi! I was wondering if I could use vegetable or coconut oil instead of butter since I barely have any left. The recipe sounds delicious! Kevin, can I use just a small handful of Chocolate Mint, I have growing on my deck. It comes back every year and smells so wonderful. 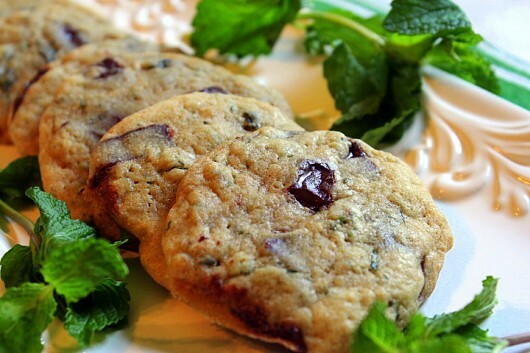 Hi Marcy – You can certainly use chocolate mint for these cookies. Enjoy ’em!